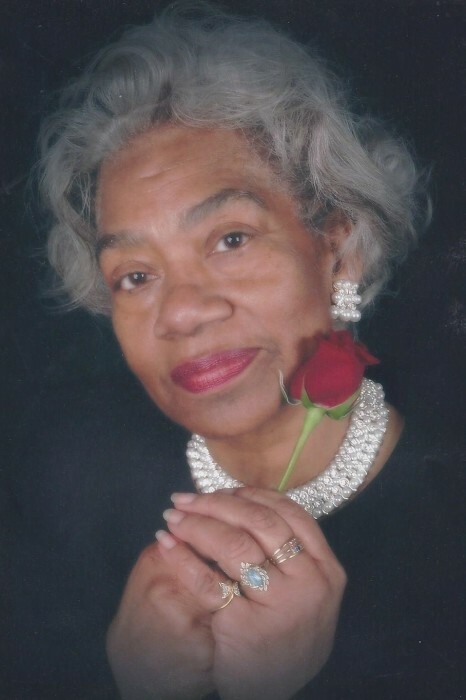 Obituary for Maggie Gladden | Hairston Funeral Home, Inc.
Mrs. Maggie Gladden, age 85, of Salisbury, quietly "slipped away" from this life Friday, July 27, 2018 at Wake Forest Medical Center, Winston-Salem. She was born on May 15, 1933 in Winnsboro, South Carolina to the late James Gladden and Nicie Ann Boulware Gladden. She joined Yadkin Grove Baptist Church at an early age and was a devoted member, where she served faithfully as "Mother of the Church", president of the Usher Board, and member of the Hospitality Committee. Maggie retired from Fiber's Industries, where she served for over fourteen years. She received pleasure in service at the Rufty Holmes Senior Center, and as a Nursing Assistant at Rowan Memorial Hospital for many years. In addition to her parent's, she was preceded in death by a beloved daughter, Alice Norman; beloved sister's; Sarah Turner, Beatrice Barber, Cora Miller, Ella Neal, Alberta Boarders, and Charlotte A. Miller; beloved brother's; Eugene Boulware, Johnny Boulware, Arthur Gladden, Henry "Bubba" Gladden, Dave Gladden, James "Jim" Gladden, Sam Gladden and Jo Eddie Gladden. Her inspirational life will forever be cherished in the lives of her sons: Eugene (Joy) Norman; Darryl (Karen) Norman; Melvin Norman; William Norman; and her daughters; Dorothy (Rodney) Morgan; Oscola Norman; Minnie (Willie) Foster; and Frances Norman; twenty-one grandchildren, twenty-eight great-grandchildren, and five great-great grandchildren; a host of devoted nieces, nephews, cousins and friends. Services: Saturday, August 4, 2018, Yadkin Grove Baptist Church, 325 Leonard Road, Salisbury, North Carolina, 28146. Rev. Stanley Rice, pastor/eulogist. Rev. George Jackson, officiating. Visitation: 12:30 p.m. Funeral: 1:00 p.m. Burial will follow in the church cemetery. Hairston Funeral Home, Inc., is serving the Norman family. Online condolences may be sent to; hairstonfh.com.